Brunswick Assistant Superintendent Pender Makin and Gov.-elect Janet Mills stand at a podium as Mills announces her nomination of Makin as education commissioner in December 2018. Good morning from Augusta. The 129th Maine Legislature officially convened a week ago today, which means Gov. Janet Mills has roughly two weeks to formally post her 14 Cabinet nominations before legislative committees can begin candidate interviews. There’s one more vacancy to fill and more paperwork to file. After Mills, likely this week, announces her pick to lead the Department of Agriculture, Conservation and Forestry, per Maine statute, she must publicly post her nominations and deliver relevant background information on each nominee to Senate President Troy Jackson, D-Allagash, and House Speaker Sara Gideon, D-Freeport. Jackson and Gideon will then pass that information to joint legislative committee chairs, who work with their committees to schedule hearings that essentially function as job interviews. Public hearings for each nominee have to be advertised for at least seven days before committees can begin their vetting process, which has to be complete within 30 days of the posting date. Committee votes supporting or rejecting Mills’ nominees will then be passed to the full Senate for final confirmation votes. Given Democratic majorities in both chambers and no signs that Republicans object to any of the nominees, committees are likely to recommend confirmation. If a committee doesn’t recommend a nominee for appointment, the Senate could still confirm that person with a two-thirds overriding vote, though that isn’t likely to come to that. History indicates that Mills’ nominees will soon be running state agencies. Overwhelmingly, past Maine governors’ Cabinet nominees have been successfully appointed, even if they don’t win support from their committees. You’d have to go back 29 years to find an example, when former Gov. John McKernan’s labor commissioner nominee in 1990, Charles Morrison, was rejected in committee but was confirmed in the Senate. Mills’ picks, who veterans in their respective fields, are fairly uncontroversial. Republicans are making noise about former Portland Police Chief Michael Sauschuck’s support for gun control policies, but they likely don’t have the votes to prevent him from becoming public safety commissioner. A dozen of former Republican Gov. Paul LePage’s commissioners left their posts during his first four-and-a-half years in office. Still, some Republican lawmakers will punch back against Mills’ Cabinet nominees, though it’s unlikely to carry much force in the majority Democrat Legislature. Click here for the list of commissioner nominees Mills has named to lead state departments. News releases have named two of her nominees — Laura Fortman at the Department of Labor and Randall Liberty for the Department of Corrections — as “acting” commissioners. Scott Ogden, a Mills spokesman, said Mills has appointed “many” of her nominees to departmental posts and is elevating some to acting commissioner status, though he didn’t say how many. The Legislature convenes today to open the 2019 session in earnest, but its work will be mostly rote. The House of Representatives and Senate are set to convene at 10 a.m. While a list of more than 2,000 bill titles has been released, only 57 bills have been printed. The Legislature will spend the early part of the year sending printed bills to committees for consideration and that’s the only business of substance on the calendars today. It’s now worth reading a trenchant 1999 critique of the legislative process by longtime Republican legislator Peter Mills, the governor’s brother and now the executive director of the Maine Turnpike Authority, who called the referencing of bills “simply not important” and something that could be done by the Legislature’s administrative staff. — A call center in the governor’s home county will close, putting 227 people out of work. In March, Barclays US will shutter its Wilton bankcard call center in Franklin County. The facility employed almost 500 people as recently as last July, but that number dwindled after L.L Bean switched last year to another vendor for its credit card services. Mills of neighboring Farmington said Tuesday that she would have the state’s labor department deploy a rapid-response team to help workers facing unemployment and that her administration would collaborate with local officials to minimize the negative impacts on the community. — Democrats in the Legislature will again push for firearms sale background checks and other gun control measures, but the governor from their party remains wary. 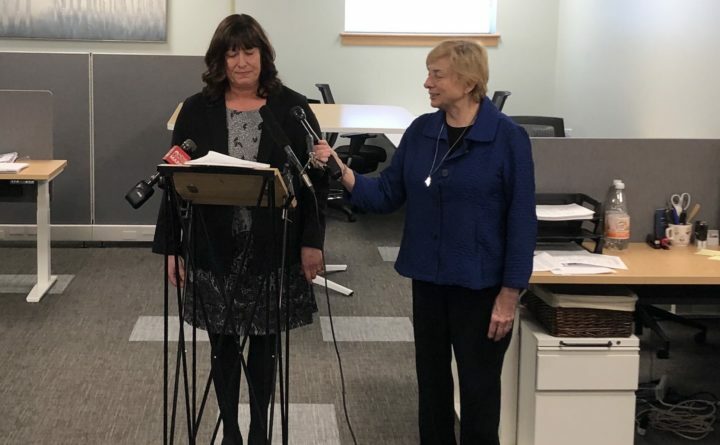 Maine Public reports that although lawmakers are proposing an array of changes to Maine’s gun laws, Mills noted Tuesday that the state’s voters rejected a 2016 ballot initiative that would have required background checks on private sales and transfers. “You know, the people have already spoken on background checks and they’ve spoken pretty loud and clear. Thirteen out of 16 counties voted against background checks. That’s a significant thing to me,” Mills said. — The president rehashed his arguments for a U.S.-Mexico border wall in a nationally televised speech. The 12-minute Oval Office address largely repeated Republican President Donald Trump’s campaign assertions that immigration from south of the border creates a national crisis. Click here to fact-check statements he made in Tuesday’s speech. Democratic leaders in Congress responded by urging Trump to separate his border wall demands from negotiations over a partial federal government shutdown that’s now in its 19th day. — The shutdown means Maine craft brewers can’t get the OK for labels on new products, and new breweries might not be able to open. The shutdown has forced closure of Alcohol and Tobacco Tax and Trade Bureau, part of the U.S. Department of the Treasury That’s the federal bureau that approves labeling for every bottle or can of beer, cider, wine, spirit or other alcoholic beverage produced and sold in the United States. 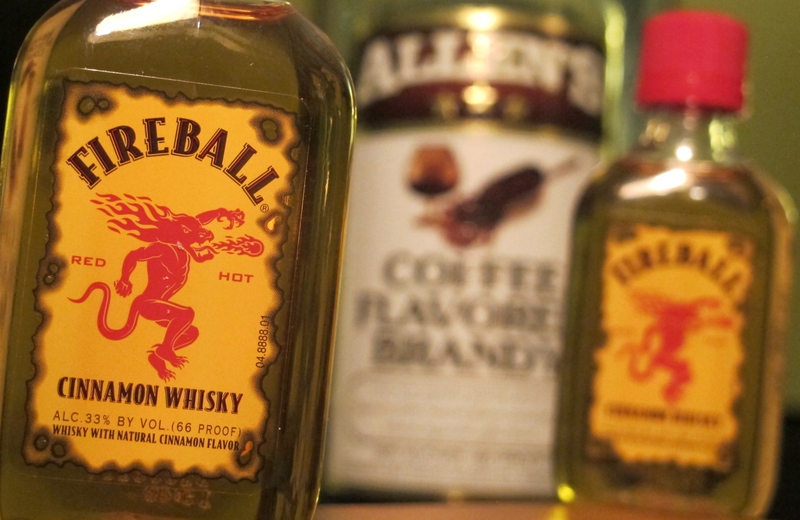 As long as it’s closed, it c an’t approve any new labels for alcohol products. The shutdown also affects breweries that have not opened yet. All new breweries require a “brewer’s notice” from the now shutdown federal bureau. Another British sewer system has been blocked by a massive glob of fat, grease, oil, used baby wipes, discarded diapers, Marmite and other grotesque detritus created by people blithely dumping stuff they shouldn’t down drains. This “fatberg” in Sidmouth’s sewer system measures 210 feet long, which makes it relatively tiny in comparison to the 820-foot fatberg discovered two years ago in the sewers beneath east London. That one made it to the Museum of London, where visitors can watch it change colors, “sweat,” hatch flies and grow yellow pustules. Here at Daily Brief, we are not so presumptuous as to tell readers how to live their lives. But these gag-inducing tales of fatbergs do give us pause and make us wonder what people are thinking as they dump things they shouldn’t into drains or trash bins. As someone whose past jobs often included cleaning up after others, I’ve occasionally been flabbergasted by the “when I throw it away, it disappears” mindset. That yucky stuff does go somewhere. So think before you dump.